Ethereum is predicted to touch $15000 this year! But why am I telling you this? Well, I am telling you this because if it does actually reach $15000, it will be the second biggest bull run in the history of cryptocurrencies after Bitcoin. But this prediction of $15000 was later corrected by the Reddit’s co-founder and corrected to $1500 by this year. Still oddly enough, if Bitcoin reaches $100,000 then Ethereum will surely be worth more than $1500, which is a significant amount. That’s why it becomes of paramount importance to store your Ether in safe wallets like Ledger Nano S hardware wallet. 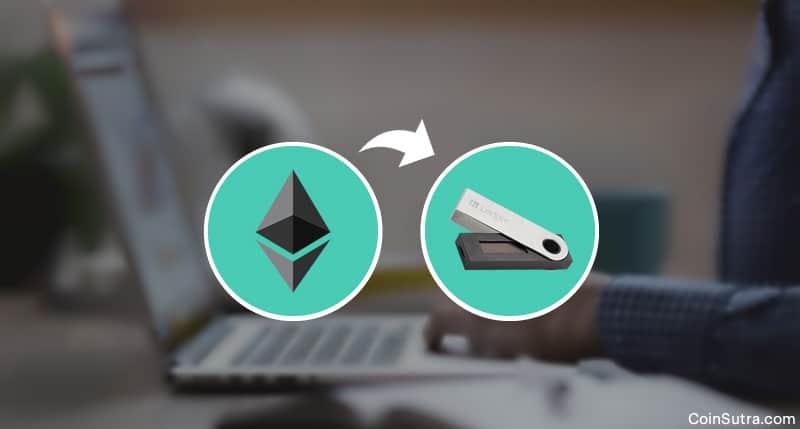 Therefore, in this tutorial, I will share with you exactly how you can transfer Ethereum to a Ledger Nano S ETH address. 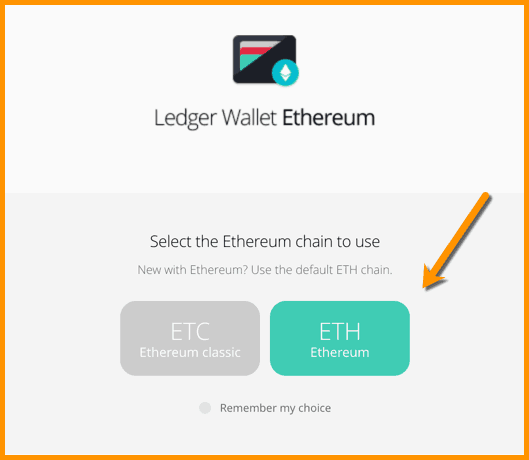 Note: Keep your mobile wallet or exchange wallet ready from which you want to transfer your ETH out to Ledger Nano S.
Step #1. 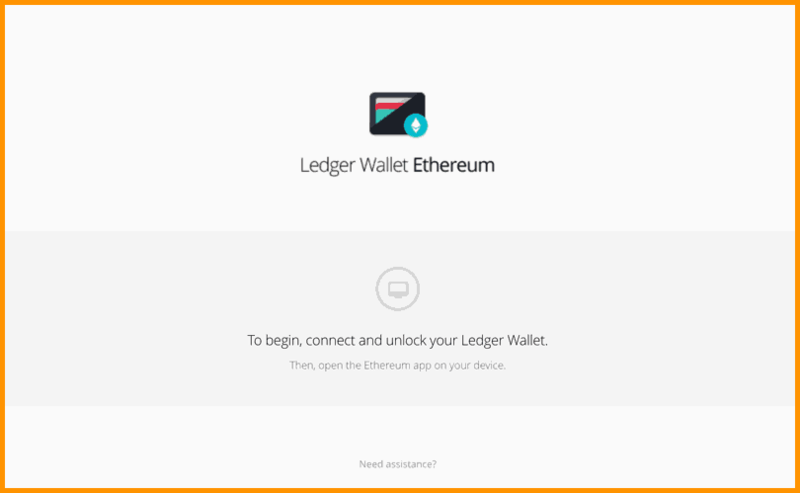 Launch your Ledger Wallet Ethereum app on your system/device. It will appear like this once you have opened it. Step #2. Now plug-in your Ledger Nano S device in PC/mobile and enter your PIN once it is activated. Always remember to keep your PIN secret otherwise anyone with the access to your device and log in and take your funds. Step #3. Now, in your Ledger device, open your Ethereum app and you will be able to see this screen. Step #4. 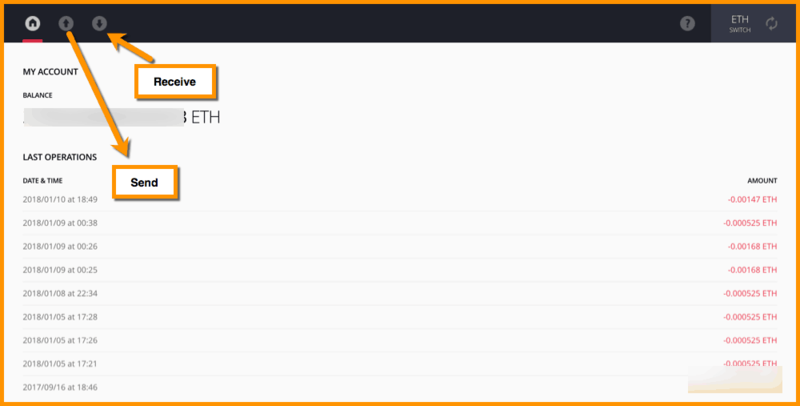 The app on your PC/mobile will prompt you to select between ‘ETH’ and ‘ETC’. Select ‘ETH’ here. Note: If the app isn’t working fine, please check if your browser support on Ethereum application of your Nano S is disabled. You should select ‘No’ there. Step # 6. After the synchronization is complete, you will be able to see this home screen of your wallet. Here, you will see your ETH balance and the last transaction details. You will also see ‘send’ & ‘receive’ options here. Step #7. 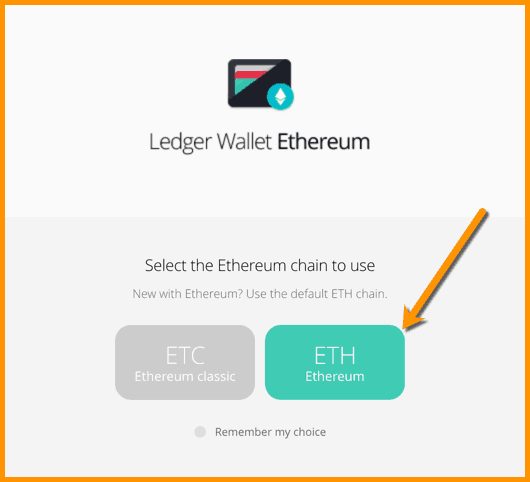 In this case, as we are transferring ETH to Ledger Nano S we will be required to click on the ‘Receive’ option. After clicking on ‘Receive’, you will see this screen. Step # 8. Now that you have got the ETH address on which you will be transferring your Ethereum, you should decide to copy the address carefully or be ready to scan the QR code of the address. It is always advised to scan the QR code to avoid any human errors. Step #9. You can scan the QR code in step #7 from your mobile wallet or copy the address shown in the ledger app to paste it in the wallet from where you are sending your ETH. Generally, people withdraw ETH from exchanges or mobile wallets to securely store it on Ledger Nano S for a long term. And this has to be done very carefully as you can’t afford to put a wrong address during ETH withdrawal from exchanges. Step # 10. 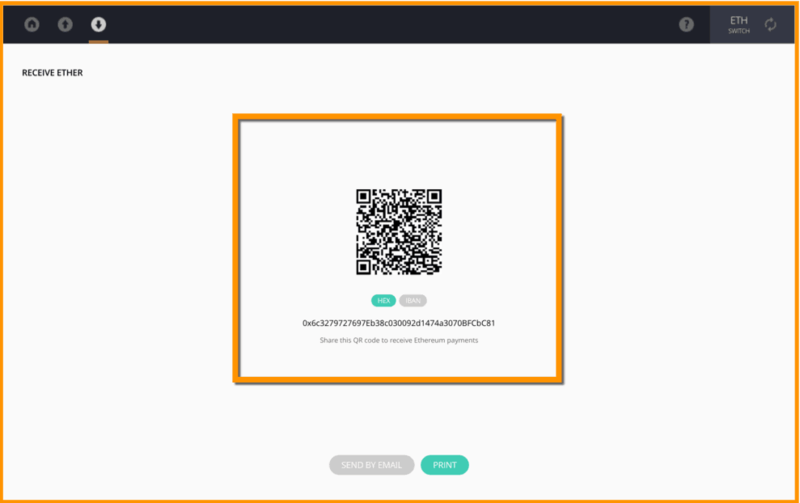 Now once you have scanned the QR code or put the copied address and just hit send from your exchange or mobile wallet. And now wait for the transaction to reflect on Ethereum blockchain explorer. While transacting in Ethereum, especially while receiving Ether, it is always good practice to wait for 12 confirmations before considering a transaction successful and this has been reiterated by the Ethereum founder, Vitalik Buterin also. Another thing, as shown in step #7, don’t use IBAN addresses and stick to HEX formate only and lastly, buy Ledger Nano S from the official website because a lot of people are trying scam newbies because they don’t buy from the official website. Also, thoroughly learn how to setup and use Ledger Nano S through our exclusive video tutorial series on the same.